This was a great puzzle to do. Although the arch is a little difficult, it was fun to follow the rest and put it together. Especially fun was trying to name all the "A" items in the puzzle and then compare it to the list provided with the puzzle. This one was really great. This is my fav puzzle brand (wonderful quality pieces that lock well), and I really enjoy this series (I have done all the currently available letters). 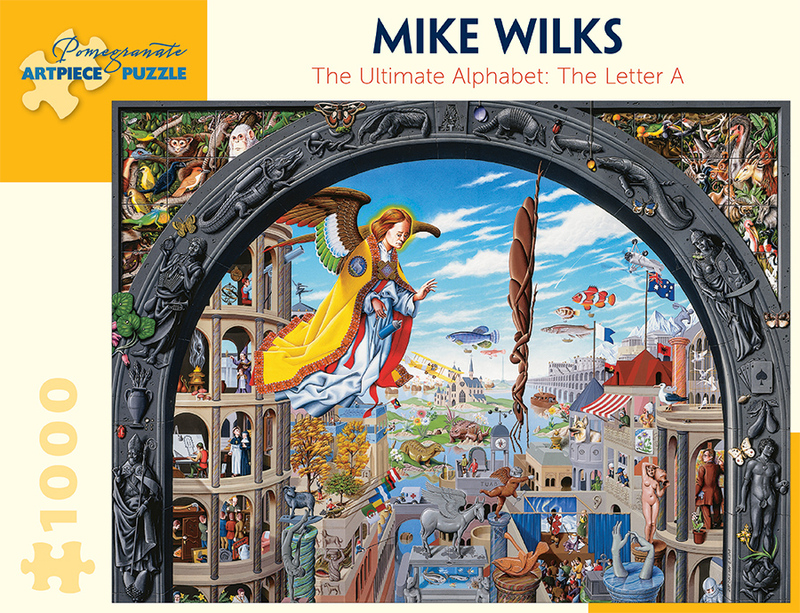 I keep hoping that Pomegranate will option more of Wilks art and that more letters will find their way to my puzzle collection soon.